At the foot of the Garamoga Hills lies the Bakgatla Resort, which consists of unique Colonial Style Chalets. Each Chalet consists of a lounge, kitchen, bedroom, bathroom and an ever-popular up-stairs loft bedroom. Bakgatla offers relaxation and much more for the outdoor enthusiast, such as self, or conducted game drives, bird watching and exciting excursions in and around the Pilanesberg National Park. Superb conference facilities with personal service and attention to detail. Be it a small gathering or large affair our team of experts will assist you from the planning stages to executing a successful event. Enquire about Bakgatla’s Accommodation HERE! Manyane Resort is nestled at the gateway to the Pilanesberg National Park, set in un spoilt natural surroundings. The thatched African styled chalets are luxurious, with one or two bedrooms including a lounge, and in certain Chalets an upstairs loft bedroom. Superb conference facilities with personal service and attention to detail. Be it a small gathering or large affair our team of experts will assist you from the planning stages to executing a successful event. Manyane offers tranquility and relaxation. Activities include mini golf, Children’s playground, walk in Aviary, self-guided or conducted game drives and a self-guided walking trails area. Enquire about Manyane’s Accommodation HERE! 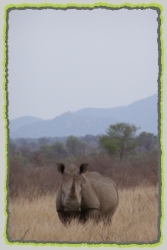 © These photographs are courtesy of Pilanesberg Safaris and Tours, the individual lodges and hotels in the Pilanesberg National Park, the Black Rhino Private Game Reserve, Selous in Mankwe Wildlife Reserve and Sun City. The prices are correct at the time of publishing however subject to change without prior notice and dependant on availability. T’s & C’s.